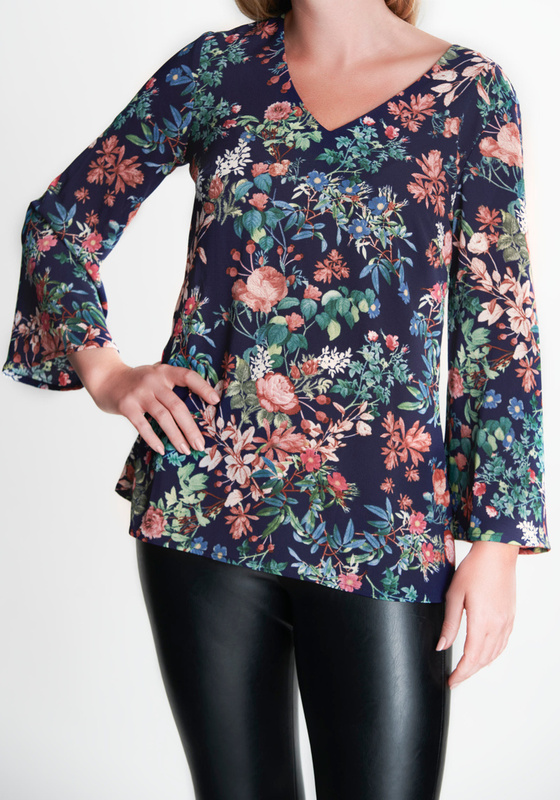 Don’t wait for the spring flowers to come - add them to your shopping cart today and bring them wherever you go with this magnificent Victory Blouse. Bright colored flower pattern on a darker navy tone. Straight fit with flared sleeves and a semi length and a v-neckline. The blouse is simple and clean as the seams has been taken away for a cleaner look. 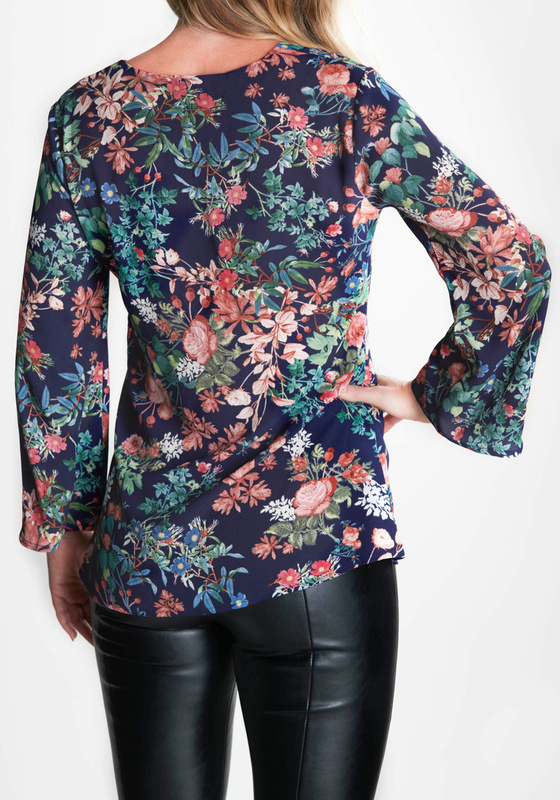 This blouse is easy to match with other items and the Anemone Print is expected to be a bestseller this spring. See also, Kate Dress and Aria Dress with the same print.